Italian President Giorgio Napolitano has pardoned a US Air Force colonel convicted in absentia over the rendition of an Egyptian imam in 2003. Joseph Romano was one of 23 Americans tried and sentenced by Italian courts for kidnap over the CIA-led operation to abduct a cleric known as Abu Omar. The Egyptian said he was flown to his home country and tortured there. Mr Napolitano's office cited what it said were changes to US security policy undertaken by President Barack Obama. It said Mr Obama had "immediately after his election, put an end to an approach to the challenges to national security... considered by Italy and the European Union not compatible with fundamental principles of rule of law". It added that the Italian president "hoped to provide a solution to an affair considered by the United States to be without precedent because of the conviction of a US military officer of Nato for deeds committed on Italian soil". The statement said the decision to pardon Col Romano was inspired by the same principle that Italy hoped to see used in the case of two Italian marines facing murder charges in India over the shooting of two fishermen. Abu Omar was subject to the process known as extraordinary rendition, through which the CIA transferred terrorism suspects to countries that practised torture. The policy was increasingly used in the wake of the 11 September, 2001 attacks in the US. 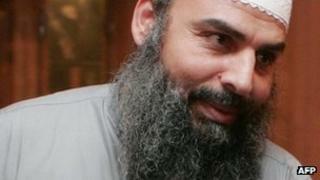 Italian courts convicted 22 CIA personnel over the Abu Omar case. All are believed to be living in the US and are unlikely to serve their sentences. Col Romano was the only American convicted who was not a CIA employee. At the time of the rendition, he was in charge of the northern Italian military air base at Aviano, where Abu Omar was flown before continuing to Egypt via Germany. The Italian trials, which began in 2007, were the first to convict Americans over extraordinary rendition. Last month, a court in Milan sentenced Italy's former intelligence chief Nicolo Pollari to 10 years in prison, and his former deputy, Marco Mancini, to nine years, over the Abu Omar case. Both are expected to appeal.